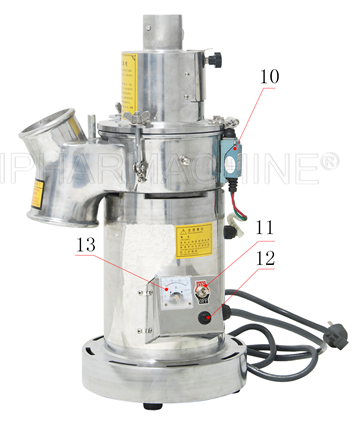 Powder Grinder also name Powder Mill Machine, it is used for milling all kinds of dry materials like herb, Chinese herbal medicine, spices, grains, beans, peanuts, pearls and even the stone. It can also be used for medicine research, cosmetics, internal medicine, surgery, ophthalmology and dermatology medicine. 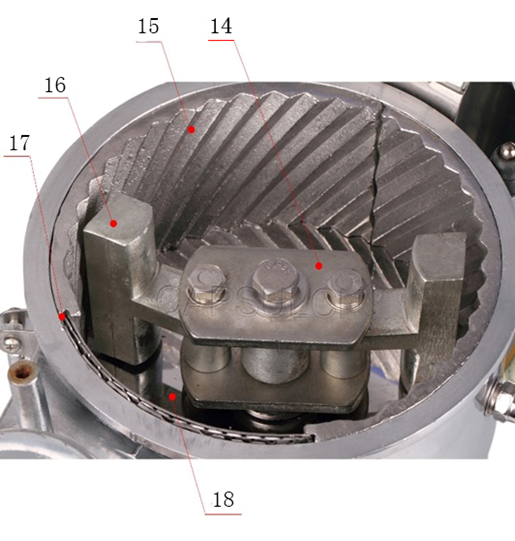 Driven by a motor, the pulverizing steels of the machine rotate at a high speed, and the mechanical energy causes high impact force, compression force and friction on the pulverized material. Therefore, the machine is suitable for fibrous materials, soft materials, and lightweight materials. 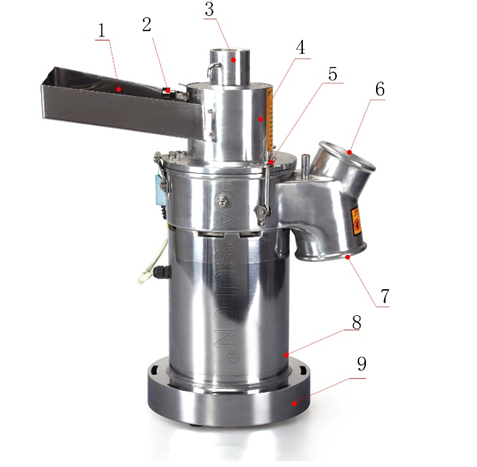 Safety and health - aluminum alloy shell increases the heat transfer coefficient; all the part of the pulverizing chamber is made of stainless steel, more sanitary. A safety switch is equipped to ensure the safety of the operation. Uniformity of fineness - lateral discharge port, more uniform fineness of the finished product. The twill pulverizing grooved plate enhances the friction coefficient to quickly get finished products with uniform fineness. Good dust removal effect - with the air inlet damper, remove dust and heat by adjusting the introduced airflow, no extra dust removal equipment needed. The special dust bag is helpful in loss reducing and heat transfer. 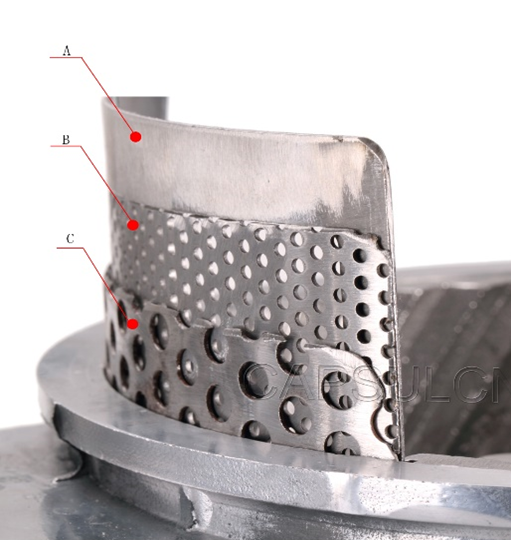 High utilization rate - the blade is made of alloy steel, hammer crushing, so it can be used for fine pulverizing and pulverize special materials. Pulverizing blade set replacement- it is convenient to replace the pulverizing blade set and the twill pulverizing grooved plate. Customizable filter screen - customization is available for the filter screen of 10-150 mesh.